In the past few months, we have covered plenty of handy plugins that let you make easy changes to your WooCommerce checkout page. The Conditional WooCommerce Checkout Field can also help. 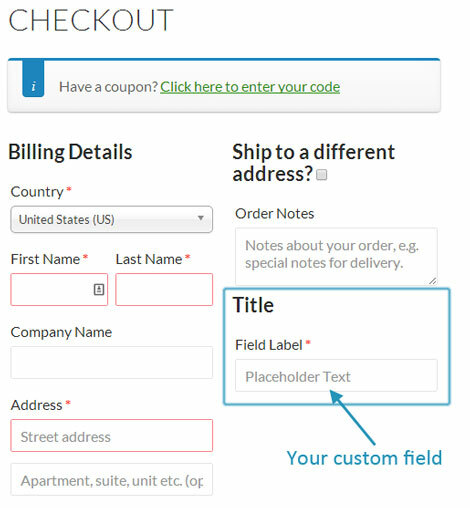 It lets you add additional fields to the checkout page for certain products. This plugin lets you customize input type, title, label, placeholder text, CSS, and other options. The pro version allows you to display an unlimited number of conditional fields at the checkout. You can display these fields for products, variations, and categories. Thanks to extensions like this, you can add and edit checkout fields without having to touch any code.